ESOS is a mandatory Government energy assessment program requiring all large businesses to undertake comprehensive audits of energy use to identify energy efficiency opportunities. Qualifying businesses must carry out an ESOS assessment at least once every four years and must notify the Environment Agency by the phase II deadline of 5th December 2019. BSSEC are registered ESOS Lead Assessors with the Energy Institute can provide energy audits and administer the ESOS submission to the Environment Agency. Need help implementing energy savings identified through your ESOS assessment? Now that the first deadline has passed you may be one of a large number of businesses who have successfully complied with ESOS and identified numerous energy saving opportunities as a result. The question now is what to do with these recommendations? Some may be relatively straightforward to implement, but to implement others you may want some help. 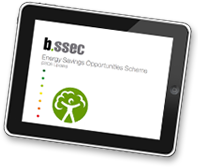 At BSSEC we can help you implement your energy efficiency recommendations. Our implementation work includes running trials to establish the best financial returns, project management of the technical implementation work and support for all stakeholders in the change management process. If you’re ESOS compliant and are looking for a way to futureproof your business against further energy regulation (ESOS and others), then ISO 50001 is the answer. This standard is awarded to businesses who have an operational energy management system in place. 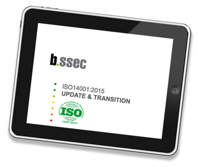 BSSEC has the expertise and experience to implement this system for you and to take you through a smooth transition from initial ESOS (2015) compliance to ISO 50001 certification. Click the presentation below to find out more about this transition process. If you’re interested to know more about how we can help, we’d be very happy to have a chat on a free, no obligation basis. Simply contact us.